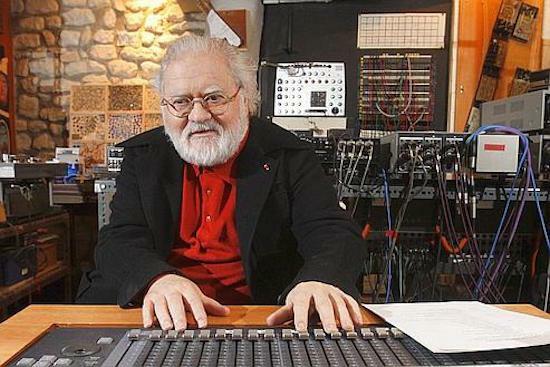 French composer, Pierre Henry, credited as one of the leaders in the development of musique concrète, has passed away aged 89. Born in Paris in 1927, Henry began experimenting with producing sounds from various objects at the age of 15, later looking at the incorporation of noise into music production. From 1938 to 1948, he studied at the Paris Conservatoire alongside Nadia Boulanger, Olivier Messiaen and Félix Passerone, before going on to work with fellow French composer Pierre Schaeffer at the Office de Radiodiffusion Télévision Française (RTF). Henry is credited as the the first composer to produce a musique concrète piece that appeared in a commercial film, 1952 short film Astrologie ou le miroir de la vie. For decades after, he continued to experiment with musique concrète and electronics collaborating with British rock band Spooky Tooth in 1970 and also producing one of his most known works 'Psyché Rock' which was famed for later inspiring the Futurama theme song.